Conservation rooflights have been used since the late 1980’s, reviving the detailing of the traditional cast iron Victorian rooflight. They are particularly helpful in breaking up the expanse of plate glass by the use of vertical glazing bars, and due to their thin frame, can be placed flush with the roof. 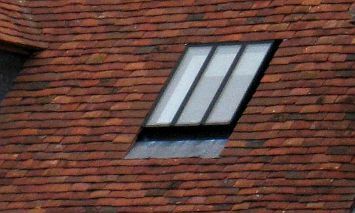 A traditional rooflight to match the old style period rooflights often found in older properties. Also available in large patent style format and as a flat roof rooflight. The Conservation Rooflight® is the original low profile skylight, combining the highest modern performance standards with an authentic traditional appearance. Favoured by English Heritage, the National Trust and planning / conservation officers, it is available in a wide range of standard sizes, along with a Bespoke Design Service.